Free Online Dating Advice & Community at eHarmony Find your special someone and fall in love with a little help of eHarmony! Finding love has never been easier. Forget the stale blind dates your mates set up, the awkward nightclub approaches and trying to catch their eye on the train. eHarmony is the world’s favourite online dating service, and with its easy-to-use and idiot proof online system you’ll be meeting like-minded singles in no time. From shopping to socialising, you use the internet for every other aspect of your life, so why not dating? The world has changed, and with it the dating scene. There’s a huge range of options to choose from with eHarmony, meaning you can find the exact right fit for you. There’s categories for everyone, whether you’d like to meet someone of the same religion as you, the same age group or the same ethnicity, eHarmony is here to help. eHarmony will build a personality profile for you to help match you with the right counterparts. It’s more than just matching Libras with Geminis, and is an advanced and intelligent system to help you find that special someone. Bring your life a little love with eHarmony. How do I use my eHarmony promo code? If no code is necessary your discounts will be applied automatically. Try eHarmony out without spending a penny with a free trial. Can eHarmony give me dating advice? If you’re not feeling too sure about the dating game, have a look here for a wide wealth of dating advice from eHarmony. How old do I have to be to use eHarmony? eHarmony users have to be at least 18 years of age. There is no upper limit. What states is eHarmony available in? 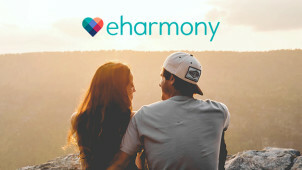 eHarmony is available to use in ACT, New South Wales, Northern Territory, Queensland, South Australia, Western Australia, Victoria and Tasmania. You can phone eHarmony on 1800 623 801 or find more contact options here. If you cancel within 14 days of signing up, you will receive a full refund. After 14 days, you will have to pay for the entire term of your subscription. The dating department is a tricky one which can often be thought of as stressful and disheartening. However, dating is now digital and eHarmony is that renowned website that can make sense of it all for you, so that you needn’t be alarmed at the prospect of dating. An eHarmony promo code will let you start your free trial to get the ball rolling. With a little patience and by taking sound advice from the eHarmony experts, in no time you’ll be in touch with great personalities near you in Australia, so that you can start enjoying a relationship just how you’d like. You can download the free eHarmony dating app to let you take your dating partner with you on the go. That way, whether you’re in your own town, or visiting friends somewhere else in Australia, you won’t be far from potential matches and you’ll be able to stay in touch with others, too! Take your dating on the move with you and download the app today. Choosing a 6 or 12 month eHarmony subscription is the best way to make the most of your money and of your experience too. Giving you the time to see potential matches, make that all important contact and feel confident in your every dating move, with your eHarmony coupon you can forget about the financial aspect of things and simply focus on finding the one for you. With great date guides and plenty more resources to get you going online, that’s the ball is in your court.